The Measurement button changes the measurement units. to create a bezier path object, just select this tool, then move the pointer to the location you wish to place the path, click, and drag the mouse. When the path is finished, release the button. 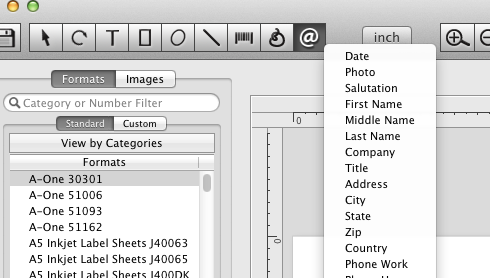 then click on your label to place the address field object.